Welcome to Manzanita! First Street Retreat is a lovely duplex located in the heart of Manzanita. 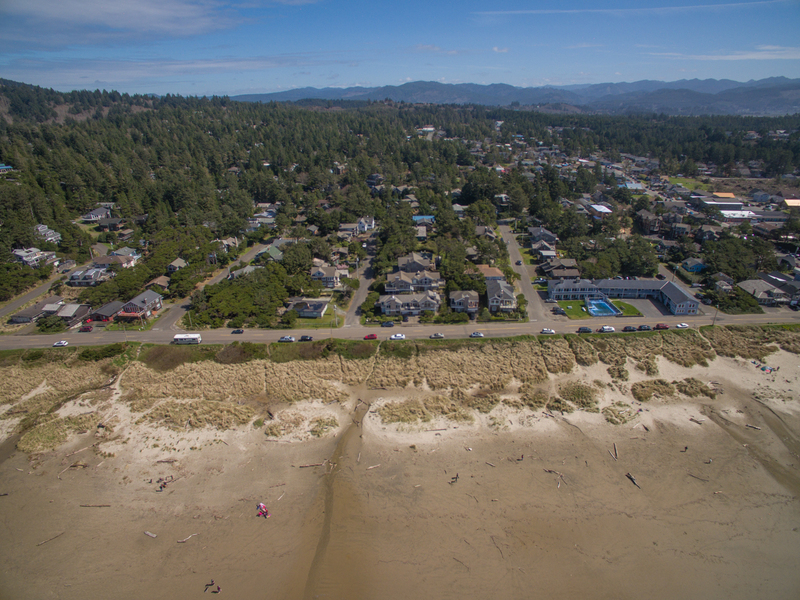 You'll find yourself close to both the beach and the many shops and restaurants located in Manzanita, all just a short walk away. 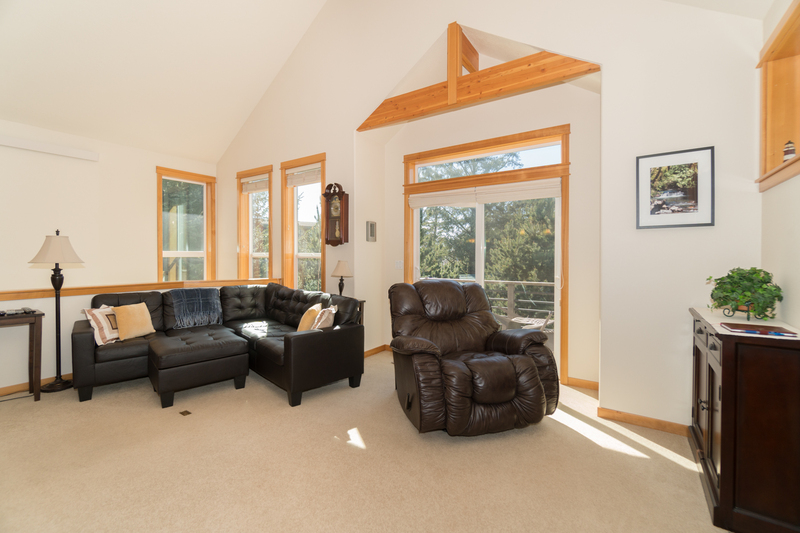 With three bedrooms and two and a half baths, you and five guests will have plenty of space to kick back and relax while staying on the Oregon coast in this lovely and comfortable home. With two stories, you can relax on the top deck and soak up the warm Oregon sun or enjoy a storm from the comfort of the couch or your warm bed. This home features a beautiful kitchen with plenty of counter space, cooking supplies, and room to gather the family together for a delicious homemade meal. Relax around the fireplace and TV in the living room on cozy furniture. Two of the bedrooms are located on the main floor, perfect for anyone in your party that may have difficulty navigating many stairs. The first bedroom offers two twin beds, perfect for any kids in your party. The second bedroom on this floor offers a queen size bed. Head upstairs, and you'll find the final bedroom, furnished with a king size bed. You'll have a wonderful time visiting the Oregon coast while staying at First Street Retreat! Book your stay today! "Our stay here was awesome. The house is nicely furnished and super comfortable and cozy (which came in handy for the couple of rainy days we had). It was close to the beach and within walking distance to most everything downtown. We will be back"
"Hello ReNae, Thank you for your review. We are so glad to hear that you enjoyed your stay at First Street Retreat! We look forward to having you come back soon! We hope you'll have better weather on your next visit to the Oregon coast." 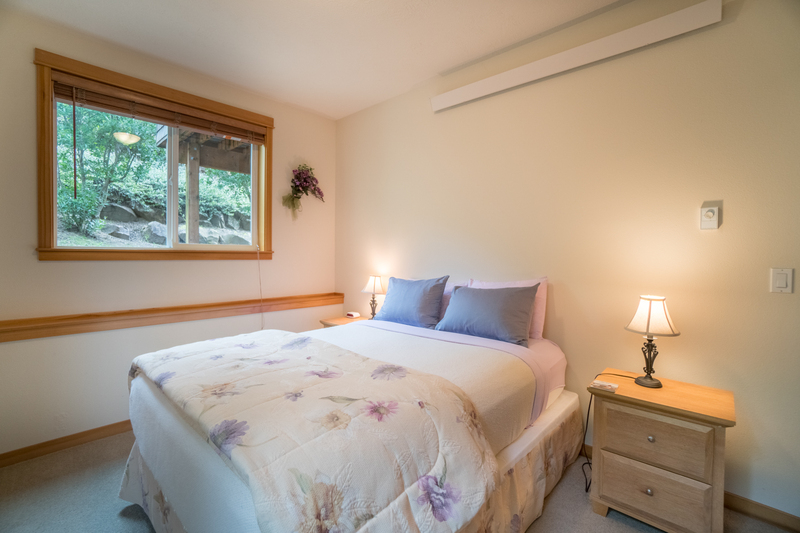 "The First Street Retreat is a fantastic Manzanita rental. We were traveling with our 5 month old and another couple and their three year old. The layout of the townhouse and all amenities perfectly suited the needs of our party. The layout of the kitchen and living room was perfect for us all to hang out and cook meals.The townhome is a short walk to the beach and area shops. Excellent rental space for couples traveling together." "Hello Kelly, Thank you for your review. We are pleased to see that you had an excellent visit at First Street Retreat! We are happy to know that the unit was safe for younger children, and that you were able to get out and walk around. We hope to have you stay with us again in the future." 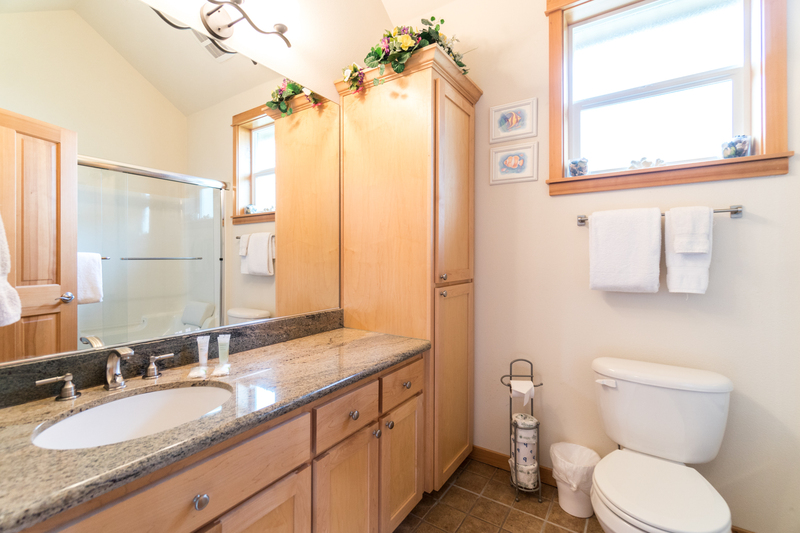 "Very comfortable home, kitchen was well stocked and the layout worked well for us. The home was close to the beach and we had a great vacation. Would stay at this rental again. " "Hello Bonnie, Thank you for your review. We are happy to hear that you had a lovely stay at First Street Retreat. We are glad that the home accommodated all of your needs. We look forward to having you stay with us again soon." 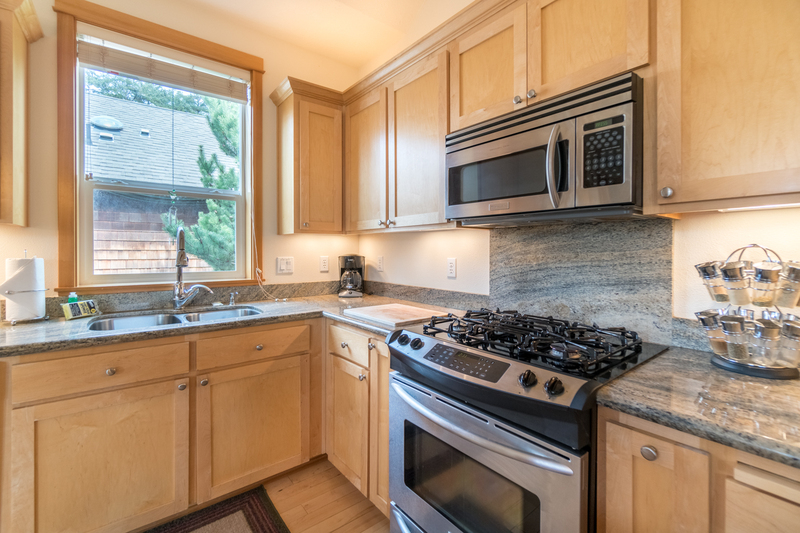 "We love Manzanita and really enjoyed this townhome. " "Hello Amanda, Thank you for your review. We are glad to hear that you enjoyed your stay at First Street Retreat! We hope this means that you'll be back again for another great visit!" "We loved the townhouse and enjoyed our stay. Highly recommended." "Mr. Fleck, thank you for taking the time to send in your review of First Street Retreat. We are pleased to hear you enjoyed your visit to the coast and for your next getaway we hope you will be contacting Oregon Beach Vacations to assist in planning your visit. Again, Mr. Fleck thank you! " Manzanita is now my favorite Oregon beach town! "We really enjoyed staying at this home. The previous reviews stated that the home was not clean, it was very clean when we arrived. My only complaint is that the drain in the master bathtub needs to be cleaned out, the water drained very slowly. House is very high quality and the location is awesome!" "Hello Gretchen, Thank you for your review. We are happy to hear that you enjoyed your stay at First Street Retreat. We have put in a work order concerning the drain. Thank you for brining it to our attention. We hope to see you back soon on the Oregon coast. Thank you again for your review!" "The house in Manzanita is highly recommended for family groups. Well positioned close to restaurants and the beach makes for a great holiday"
"Hello Carolyn, Thank you for your review. We are so happy to hear that you enjoyed your stay at First Street Retreat! We hope to see you again soon on the Oregon coast!" "This is a great home for lots of people or for us, three long time friends. One block off the beach, pretty well supplied, comfy and easy to find. " "Thank you for the kind words Lynne, I am happy to hear your reunion was a success. We cannot wait to see you again. Melissa"
"This place has a great location and was perfect for our family of 5 (including 2 teens and visiting grandma). It was very clean, well furnished, as described and pictured and ready for our stay. We had a great time and would definitely stay here again. " "Hello Sheli, Thank you for your review. We are glad to hear that you enjoyed your stay at First Street Retreat. 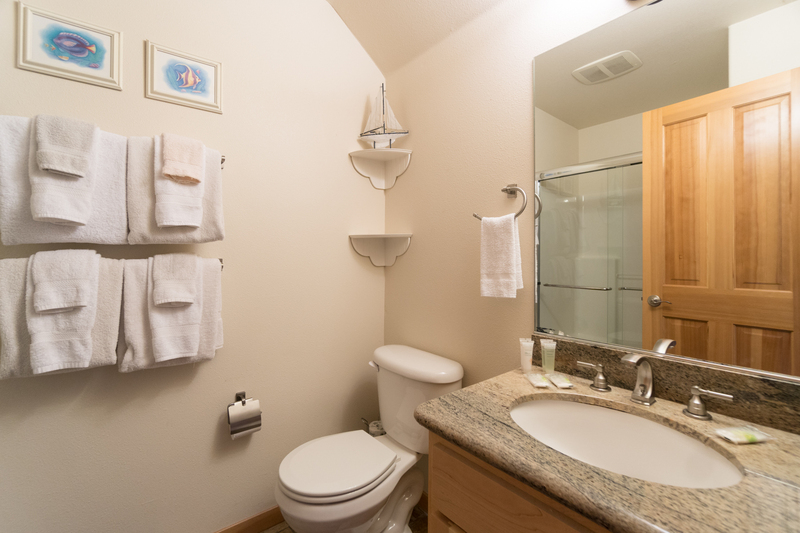 We are glad to know that the unit fit everyone's needs, and we look forward to hosting you again on the Oregon coast!" "This townhome is a very close walking distance to beach and town. Townhome was very clean, everything we needed. " "Hello Alison, Thank you for your review. We are glad to see that you had a wonderful visit to First Street Retreat! We hope to have you stay with us again soon!" "Loved the location! Close to beach & town. Comfortable beds and the layout was great to spend time with guests. One of the lowest price vacation rentals in Manzanita making it the best value. " "Hello Kelly, Thank you for your review. We are glad to know that you enjoyed your time at First Street Retreat! It sounds like this home was perfect for you and your guests. We hope to continue seeing you in years to come!" "This was in a very nice location , beach was not crowded at all. felt like we had our own private beach ." "Hello Roxann, Thank you for your review. We are pleased to see that you had a wonderful visit to First Street Retreat! We are happy to know that you could enjoy the beach and feel like you had it all to yourself. We hope to have you stay with us again soon on the Oregon coast." 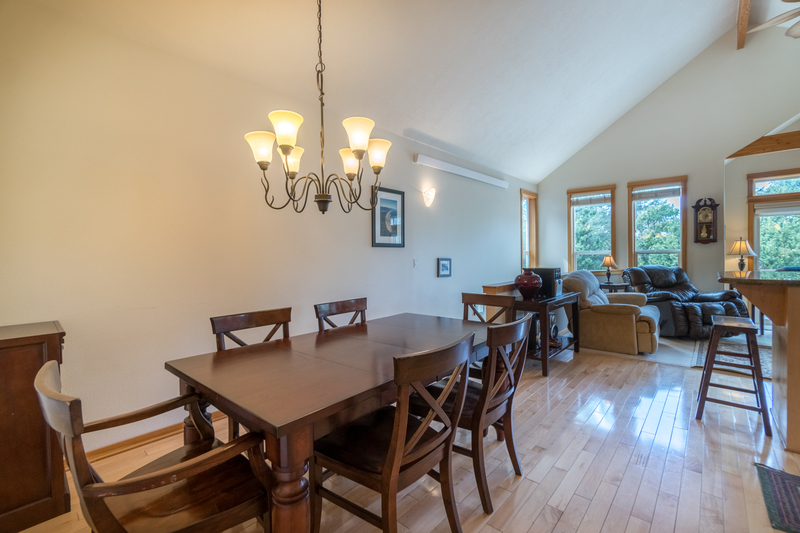 "First Street Retreat is a very comfortable place with a nice layout in a convenient location near the beach and town. Most everything you'd need was provided. However several light bulbs were out including the light fixture in one of the downstairs bedrooms. We were able to find one bulb in a closet and install it but even though I called them the agency never supplied any more. There also was no sponge in the kitchen and the lone frying pan needs adjustment as the handle is very loose. Those are minor quibbles in an otherwise very good experience." "Hello Lisa, Thank you for your review. We are happy to see that you enjoyed your stay at First Street Retreat. We are sad to hear that nobody was able to get to your place during your stay to replace the light bulb for you. we do apologize. During our summer months, it is often more difficult for maintenance workers to get everywhere they are needed. We hope that this did not take away from your stay too much. As for the sponge, we would have happily sent out a housekeeper to provide this for you if you had let us know. Once again, we are sorry that it wasn't already included in your stay. As for the frying pan, we will have maintenance look into this to either be fixed or replaced. Thank you for bringing it to our attention. We hope you otherwise had a wonderful stay, and we hope to see you again soon on the Oregon coast! Thank you again for your review." "The rental is very nice, clean and well located. However, It represents that it has cable tv and it does not. It has a roku but it never worked. Despite two calls to customer service no one ever fixed it so we had no tv at all during our stay. There were no written instructions in the unit. We finally found audio and tv manual in basement closet. " "Hello Janice, Thank you for your review. We are glad to hear that you enjoyed your stay at First Street Retreat. As for the cable issue, we are sorry to hear that you had trouble with us. After looking at our website, it does not list cable as an amenity, just "streaming entertainment." We are sorry if this was not the case when you booked. As for the instructions, we will look into getting instructions made for the Roku and remotes so that future guests do not have this problem. We hope to see you again soon on the Oregon coast. Thank you again for your review. " "A very relaxing 3 nights. The kitchen: not enough mugs, silverware. Bedrms: out of three only one had a working bedside lamp. Shower: masterbath...shower didn't work. Rug in livingrm, so badly curled, we had to place stools along edge to prevent tripping." "Hello Peggy, Thank you for your review. We are sorry to hear that you did not enjoy your overall stay at First Street Retreat. We have looked into these items that needed repairs, and it seems everything has taken care of since your stay. We apologize for the inconvenience, and we hope to have you stay with us again in the future." "I would not rent this house again as they did not have internet, but listed as having wifi. I called for support and was told they have wifi, but do not offer internt/web access. I said what good is wifi without internet? After 5-10 more phone calls was able to find someone to come out and look at the internet. They said they could not get it working during our stay. This ruined our entire stay as we needed to work while we where there"
"Hello Aaron, Thank you for your review. We are sorry to see that you did not have a good stay at First Street Retreat. Unfortunately during your stay, the box for the internet went down and needed to be replaced completely. This home does offer Wi-Fi though. We are sorry you were told otherwise by some of the staff. We are sorry for the inconvenience this caused. Thank you again for your review."